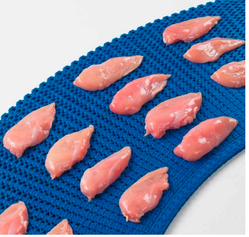 We are engaged in offering a wide range of Meat and Poultry Conveyor Belts. These Meat and Poultry Conveyor Belts are made from very high quality raw material which ensures hassle free work performance at its user end. These Meat and Poultry Conveyor Belts are widely finds its applications in various industrial sectors. Our specialized team for quality checks make sure that the developed belts suit the specific customer applications. 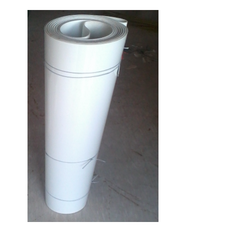 With assurance of excellent performance, we are offering conveying belts for Baked Goods Belt. Owing to their excellentconveying properties, these belts are widely used in the bakery industry. Being a clients centric, we manufactured these product in accordance with their exact specifications using ultra-grade raw material. We are offering these product within affordable price range. Looking for Conveyor Belts for Food Industry ?